In just a few short years, Megaworld has become one of the country’s biggest local hotel chain operators. 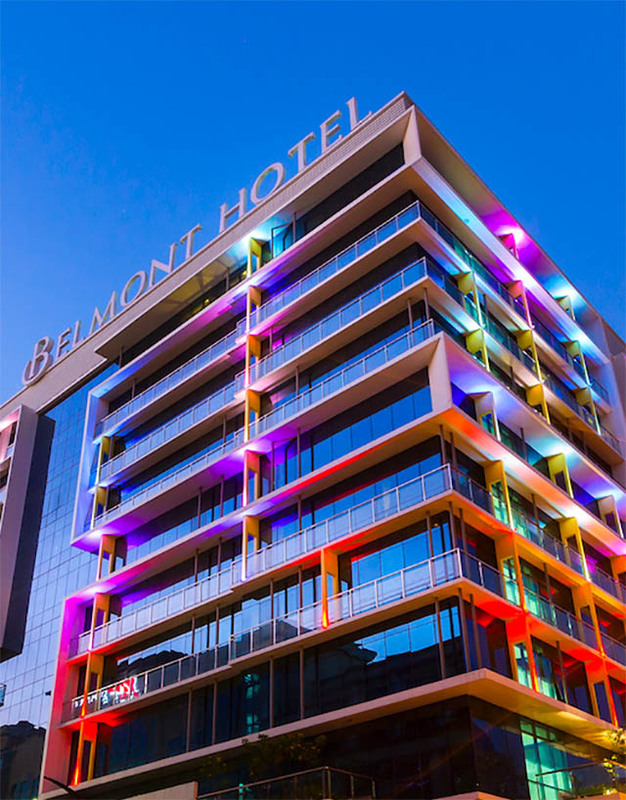 Besides office buildings, lifestyle malls and residential and commercial townships, the company chaired by billionaire Andrew Tan now counts six hotels under three homegrown hotel brands—Savoy Hotel, Belmont Hotel and Richmonde Hotel. Already open and operational are Richmonde Hotel Ortigas, Eastwood Richmonde Hotel, Richmonde Hotel Iloilo, Belmont Hotel Manila, Savoy Hotel Manila and Savoy Hotel Boracay. Two other hotel brands are set to open within the year—Twin Lakes Hotel in Alfonso, Batangas near the tourism hotspot of Tagaytay City, and Chinatown Hotel in Binondo, Manila. Eight more homegrown hotels are in various stages of planning and development and will open within the next three years—Savoy Hotel Mactan and Belmont Hotel Mactan Newtown, both in Mactan Island, Cebu; Belmont Hotel Boracay and Chancellor Hotel Boracay, both in Boracay Island; Kingsford Hotel and Grand Westside Hotel in Westside City within Entertainment City near Manila Bay; and two more hotels in the Visayas. By 2020, Megaworld expects to have a total of 3,800 hotel rooms, which is enough to make it a serious contender as a leader in the country’s local hospitality industry. Its growing hotel portfolio led company officials to introduce a unique membership card for guests of its hotels. 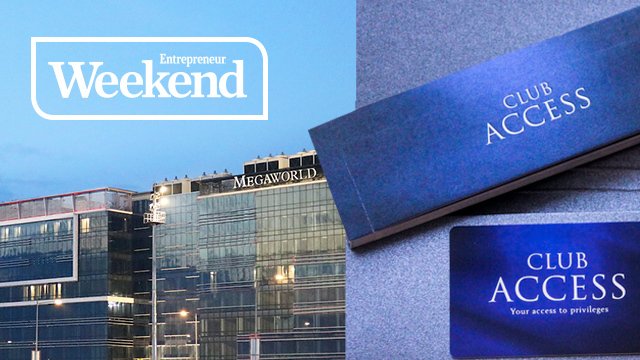 The Megaworld Hotels Club Access Card grants members perks, discounts and privileges in all of the existing properties as well as the soon-to-open hotels. - Two Complimentary Upgrades to the Next Room Category at all participating hotels. Members also get an unlimited 20-percent discount on Best Available Rates in all types of rooms inclusive of breakfast for two. On promotional rates and special holidays, members can still get a 10-percent discount on all types of rooms inclusive of breakfast for two. “For every stay in the hotel, members will receive our Exclusive Welcome Amenities. There will also be a priority lane for Club Access members so they don’t need to queue in long lines for check-ins and check-outs,” Lim said. In addition, Club Access members can dine for free when accompanied by one paying guest at all F&B outlets of the participating hotels. Member plus two guests get a 30-percent discount on total bill; member plus three guests at 25 percent; member plus four to 19 guests at 20 percent discount. And members dining alone automatically gets 30 percent off the total bill. 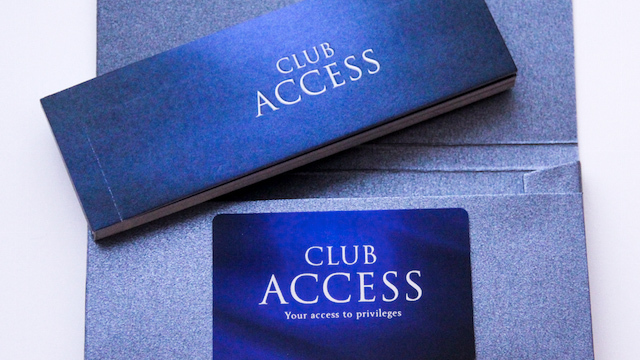 The Club Access Card has many other benefits, which you can view in the Megaworld website. The card is priced at Php6,999 which officials say is good value for all the benefits it offers.